West Virginia is a truly beautiful state to call home, and many local residents lead happy and relatively carefree lives. Some are financially secure, and they do not have the stress associated with carrying high debt balances. Others, however, are heavily burdened by high interest rate credit card debt, and they are challenged to make the minimum monthly debt payments each month. If you fall into the latter group, you may be wondering if there are debt relief options available to you. While bankruptcy and debt settlement are a few debt relief options to consider, they can damage your credit rating for many years. Debt consolidation is another form of debt relief, and it typically will not damage your credit. Because of this, many review the benefits of debt consolidation as a first step toward overcoming their financial strain. What Are West Virginia’s Laws Regarding Debt Consolidation? Debt is a serious problem for many West Virginians. It can arise because of sudden, high expenses, such as house and car repairs, a serious illness or something else. However, it also often arises because individuals struggle to make ends meet. This may be because of a low income and high expenses. 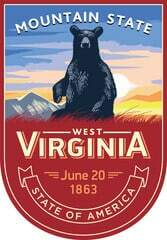 In West Virginia, the per capita income according to the U.S. Census Bureau is $23,450 per year. The typical mortgage payment for the state’s homeowners is $966 per month, and renters pay on average $643 per month for housing. Almost 18 percent of the state’s residents reside in poverty, and many others live only slightly above the poverty line. This can create a stressful financial situation for many who also carry high credit card balances. 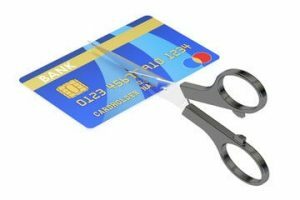 Finding an effective way to repay credit card debt can free up much-needed money in your budget, and you may be wondering what options are available to help you with this process. Debt consolidation offers many of the benefits that you may be looking for. Debt consolidation is as simple and straightforward as it sounds. You consolidate your current outstanding credit card debt into a single loan. This step will not erase any debt, but it will position your debt so that it is more manageable and easier to pay off. The ideal consolidation loan has a low interest rate and a fixed term. Some common loan types that you can consider using for consolidation purposes are home equity loans, unsecured bank loans, auto loans if you currently own your car free and clear and more. You apply for your loan, and once you are approved, your bank or lender will send you money. 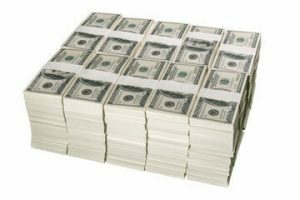 With this money, you pay off your high interest rate credit card accounts. In this way, the debt is transferred to the new loan. By doing so, you can enjoy lower monthly payments, and this can be a true benefit for those who are currently struggling to pay all their expenses each month. You can also enjoy easier debt management and faster debt reduction. This is because the lower interest rate allows more of your debt to be paid down with each payment. While debt consolidation is a great option for many West Virginians to consider, it will not work for everyone. This is because some people will not qualify for a new loan. To qualify for a new loan, you typically need to have good credit scores. However, if you have been making late payments, you have collection accounts or you have other negative items on your credit report, your scores may be too low to qualify. If debt consolidation will not work for you, you may need to consider other forms of debt relief. While debt consolidation may not work for everyone, it is an effective option for many people. If you are preparing to research possible loan options to use for consolidation, you may want to know more about laws regarding debt consolidation in West Virginia. Through debt consolidation, you are not erasing debt. You are simply transferring it to another account, and refinancing debt is legal. While there are no laws regarding consolidation, there are laws that enable your creditors to take you to court if you do not pay them the money owed to them. Finding a way to repay your debts is not easy to do, but consolidation may be a great option to consider. After you have consolidated your debts, you still have a lot of work to do to ensure that you make your minimum debt payment each month. Paying down debt is a slow, steady process, but a consolidation loan can simplify your effort. If you are ready to learn more about debt consolidation, start looking for a loan that you can use for consolidation.